If you’ve been reading our blog and have seen our other frequently asked questions, you’ve probably noticed a pattern, and this question is no exception. 3D Printed automobiles are a subject of intense ongoing research and development, with a lot of future potential but only limited success at the moment. In other words, it remains something of stretch to say that a true 3D printed car was out on the road today, or to claim that we could 3d print an entire car if we wanted to, but the eventual creation of a true 3D printed car seems inevitable – the more so as the goal is being approached simultaneously from multiple directions. On one side are the groups deliberately setting out to make 3D printed cars, designing them from the ground up to take full advantage of additive manufacturing in producing the vehicles’ structure. The first group to demonstrate real success in this endeavor was undoubtedly KOR Ecologic, who created the Urbee 3-wheeled vehicle in 2013. 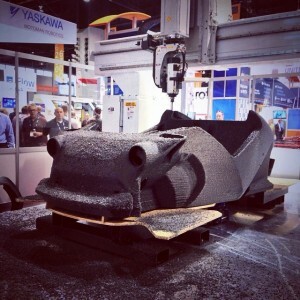 Their design used FDM 3D printing to produce a large percentage of the structure of the car, including all of the body panels and much of the interior. Although the Urbee relies on a more traditional structural chassis, it still holds a quite credible claim to the title of first 3D printed car. More recently, independent automotive company Local Motors has picked up the torch, teaming up with Oak Ridge National Lab and their Big Area Additive Manufacturing machine (BAAM for short) to directly print the full structural chassis for custom-designed electric vehicles. 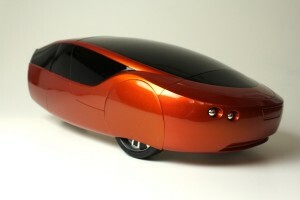 Their greatest success to date is the Strati, a 2-seater neighborhood electric vehicle. Limited to a top speed of 40 miles an hour and not designed to meet highway safety test requirements, the Strati still isn’t quite what most people consider a car, but it is a functional vehicle based on a fully 3D printed chassis. The Urbee and the Strati are both impressive efforts and demonstrate one way to apply 3D printing to the automobile. This approach, however, is still somewhat limited in its scope, relying wholly on traditionally fabricated components for the motive force and mechanical components such as gears, wheels, shocks, etc. This leads us to the other way 3D printing is becoming a part of automobile manufacturing – the creation of key functional components for otherwise traditionally built cars. Although less obvious at first glance than a chassis and body panels, the mechanical components housed inside a car are put under incredibly harsh demands, and producing them with additive methods allows for significant improvements in performance, grants freedom in customizing the function of vehicles, and brings us closer to the goal of 3D printing an entire car. 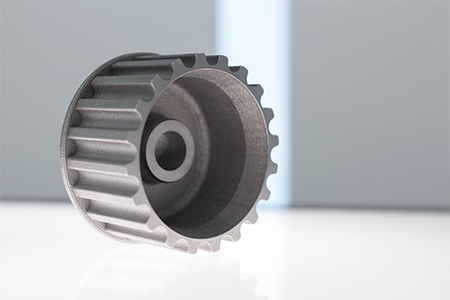 One example comes from MTI, who used metal laser sintering to 3D print a custom gear for English Racing, whose high-performance Mistubishi Evo was overpowering the stock components. By applying 3D printing to the problem, they were able to further customize their car and set a new world record for Fastest 4-Door, at 196.7 MPH. For the moment, when someone asks about 3D printing a car, we have to shake our heads. Parts of a car can be 3D printed, but there’s some distance yet to go before anyone can claim to have printed the whole thing. Thanks to the efforts of companies like MTI, Local Motors, and KOR Ecologic, though, that distance is rapidly shrinking, and we expect that the day will soon come when we’ll be buying and driving 3D printed cars of our own.